Some compatibility issues will arise with some (Non Extended) U2-UFO configurations. Will not work with Standard front panels (horizontal – can run vertical). There is one compatibility issue with (Non Extended) Ascension cases. Will not work with Standard Front panel (Vertical - Can run horizontal with front panel rotate 180 degrees placing 5.25 cages below tray). Other cases will have zero spacing issues unless water cooling radiators are implemented into the front panel of the chassis. If running radiators on from panels it is highly recommended to go to the Extended or 24 inch version of the chassis. This tray can be used on its own as a test bench, or in conjunction with any case in the list above w/the 10 PCI case back panel. 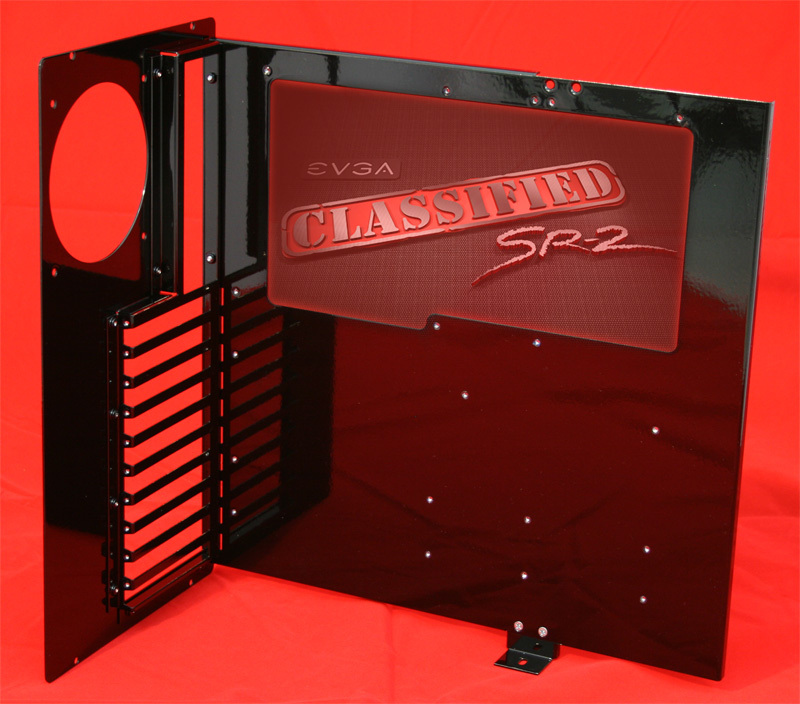 The 10 PCI case back panel can be purchased separately. Building your own box? Or need a testing platform? This Motherboard Tray has it's own 120mm exhaust fan mount. It is made from 1.65mm thick aluminum alloy making it lightweight, sturdy, and thermally friendly. It has threaded inserts for standoff mounting eliminating annoying clips, plastic pegs, or stripping of tapped threads. This tray comes with 6 PCI Cover Plates and screws, 10 Motherboard Standoffs, and 10 mounting screws. Everything you need to securely mount your latest and greatest. Choose the tray finish and whether or not you want the optional security flange.